Villa dell’ Annunziata Historic House is an antique three-storey villa built on the remains of a XIV Franciscan century monastery surrounded by a stunning countryside. It lays at the intersection between the San Francisco route and the via Francigena at the heart of the Lazio region, surrounded by unspoilt medieval monasteries and villages, and close to Rome (80 km). VdA is an estate enclosed by antique walls and made of three buildings: the main villa, the owner’s house, and the former orangery. 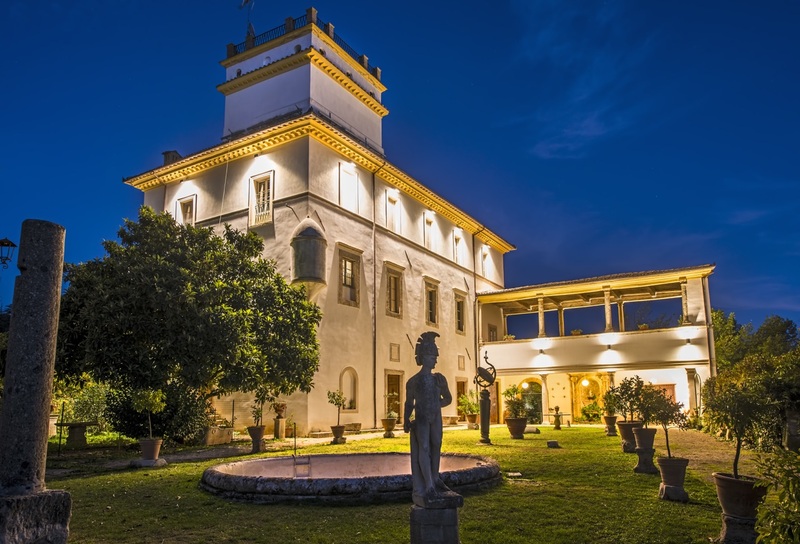 Inside are antique fountains and landscaped gardens, while the whole estate emerges from the surrounding woods and superb countryside at the bottom of the Appennini Mountains. 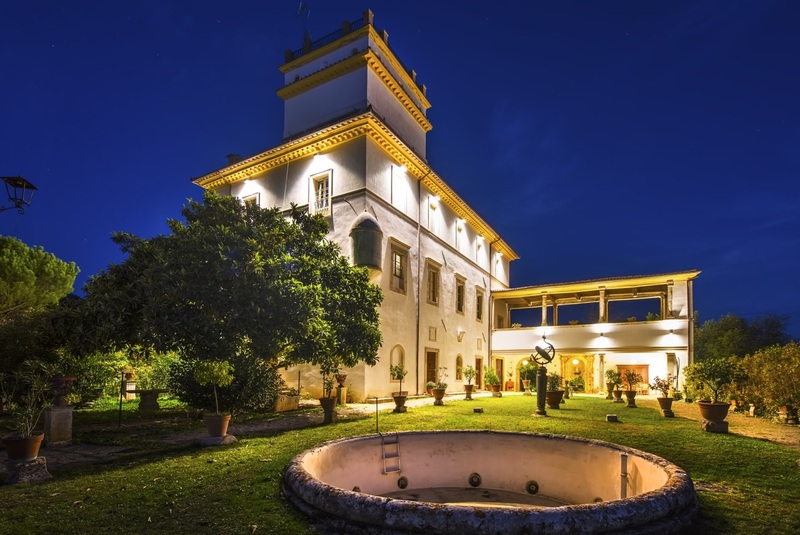 The main villa maintains its original XVIth century features, including a defence tower that grants the estate the dramatic looks of a fortified castle. Restored with a creative combination of its original features and modern comfort, its five large en-suit bedrooms all feature original floors, working fireplaces and fresco ceilings, sitting area, and view on the villa’s gardens, surrounding woods and the Appennini Mountains. Room facilities include TV– WIFI - Safe – Fridge/minibar. Breakfast is served in the main reception room, but guests are welcome to explore its tangled sequence of reading rooms, lounges, elevated terrace, tower, romantic gardens and underground grottos. The villa includes a small church built on the site of the old San Francisco’s monastery where San Francisco is thought to have composed his most famous prayer, “Cantico delle Creature”. The church, orangery, and the elevated terrace can also be hired for private events. VdA is 3 km far from the town of Rieti within the Lazio region and at easy reach from Rome (80 km). Know as la Sabina after its pre-roman civilization, this territory offers un-spoilt natural beauty, sport facilities, and a range of cultural attractions suitable to various kinds of tourism. The Mount Terminillo in the Appennini Chain and the close-by natural reserve of Monti Sabini. is a remarkable site for hiking and winter sports. Golf courts and a gliding center are also at easy reach. Among the main natural attractions is the Marmore waterfalls (15 Km), which were built by the Romans and still remain tallest man-made waterfalls in Europe, with its near rafting centre. Dotted with picturesque medieval villages, this region is mainly known for the San Francisco route and its series of monasteries that constituted the most important landmarks in San Francisco’s life: Fontecolombo, where the Franciscan Regola was written; La Foresta, where the Cantico delle Creature was composed, and Greccio, where the first Nativity was created an displayed. SPIRITUAL TOUR across the sites & sanctuaries of the Francisco’s route and the historic routes of the via Francigena and via Benedicti, including visits to the XIIIth century Farfa Abbey and the Museum of Silence in Museum of Silence in Fara Sabina. SPORT TOUR including gliding, canoeing, rafting, trekking, cycling, horse riding and skiing. NATURE & RELAX TOUR, which includes visits to the lakes, the Terminillo mountain and nature reserves of Lungo, Ripasottile and Duchessa lakes. ART & HISTORY TOUR, which includes archeological visits of underground Rieti, local archaeological sites and museum, and medieval castles in the surrounding towns. The artistic towns of Roma, Viterbo, Perugia, Ascoli Piceno are also included in the tour.